Make no mistake about it: plant-based, meat-free dishes are crazy delicious. If you haven’t given vegetarian food a real chance yet, you’ll realize that vegetarians aren’t really missing out on anything, no matter how tasty that crunchy strip of bacon is. Our Veggie Pizza's so good you'll forget it's meatless. A vegetarian diet consists primarily of vegetables, grains, fruits, nuts, seeds, and the like. The no-no’s, according to Healthline Media, are meat, poultry, fish, or by-products of animal slaughter. 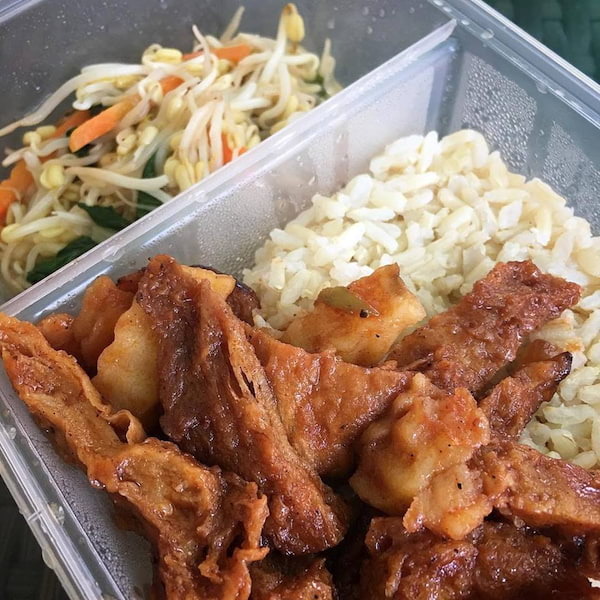 There are different types of vegetarian diets, including those that are more lenient with dairy and egg intakes (lacto-ovo, lacto, and ovo vegetarians), and one that completely avoids animal and animal-derived products—also known as the famous vegan diet. The vegan diet is stricter than a vegetarian one in the sense that animal by-products and derivatives are not consumed. These can include honey, gelatin, whey, eggs, and dairy. Understandably, it can become a little difficult to eat out on the regular and find a restaurant that considers these restrictions. 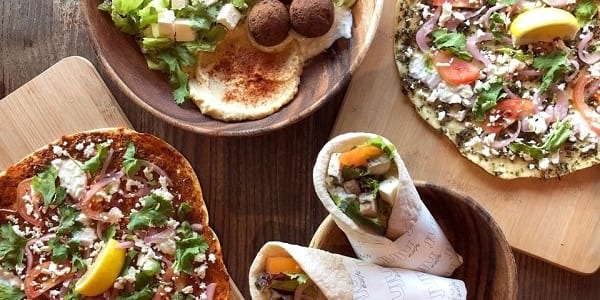 Hence, this list of amazing spots around the Metro that serve (and deliver) plant-based dishes daily! Need a little more greens on your plate? Check these establishments out. 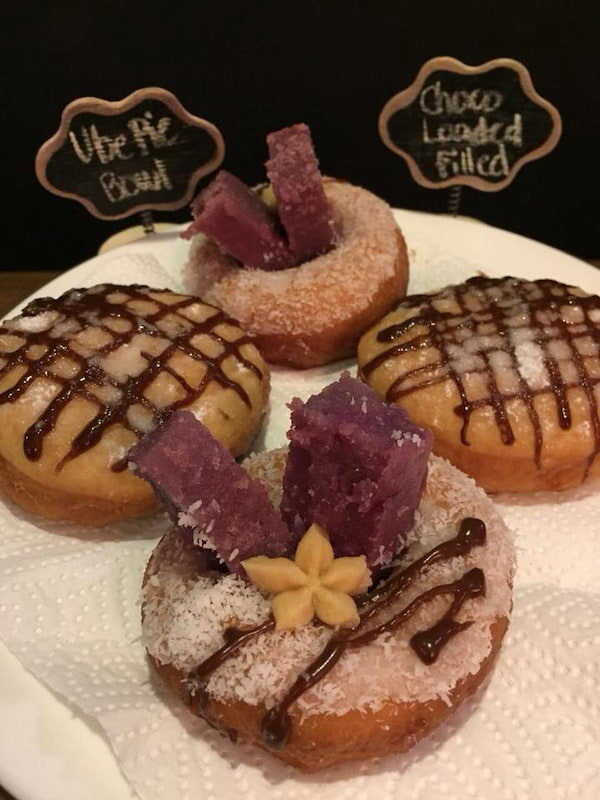 Susi’s vegan menu is completely meat-free, dairy-free, egg-free, and gluten-free—a difficult feat to pull off for a café located in BGC’s Burgos Circle. Their dishes, however, are nothing short of amazing. From tasty, satisfying, and heavily-seasoned shawarma and burger dishes to filling pasta dishes, the meat-eater in you will forget he or she even existed! Susi is located at Forbes Town Center, Fort Bonifacio, Taguig City. 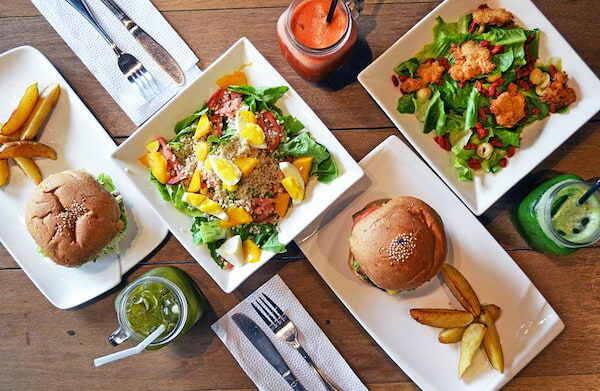 Makati’s Corner Tree Café is probably one of the most well-known vegetarian- and vegan-friendly restaurants in Manila, and for good reason. Their menu was made for everyone: Healthy eaters, gym buffs, parents, kids—you name it! Countless options for snacks, mains, desserts, and sandwiches are available and each one is just as satisfying as the other. Corner Tree Café is located at 150 Jupiter St., Bel-Air, Makati City. 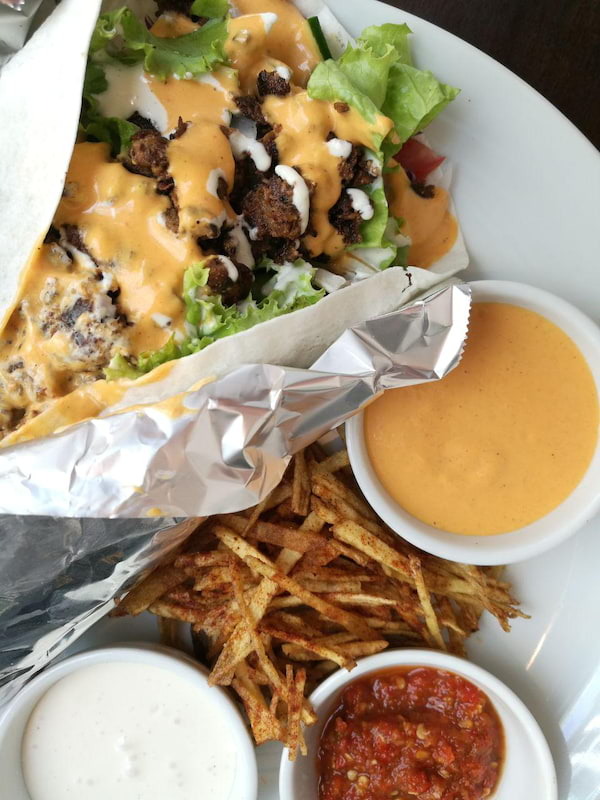 Juju Eats has become a staple for busy bees in Manila—their large number of locations in major cities make them very accessible, and their speed in putting together orders make them a mainstay for those who want a quick fix. Need to restart your system? Give their juice cleanses a go! Juju Eats has branches located in Pasong Tamo Extension, Salcedo Village, Eastwood City, Alabang Hills Village, and The Podium Mall. Come for the extensive plant-based menu overflowing with grain bowls, salads, fruit cups, sandwiches, and burritos—but stay for the donuts. Yes, we said donuts! Who said vegetarians can’t indulge in sweets every once in a while? Green Bar is located at Mezz-104 West of Ayal, Urban Ave., Gil Puyat Ave., Legazpi Village, Makati City. Pipino is all about taking pride in Filipino dishes, flavors, and ingredients—and recreating classic recipes into vegetarian dishes that are just as lovable. Need proof that 100% plant-based meals can be healthy and delicious? Pop into Pipino the next time you get the chance, and try their kare-kare, lumpia, bistek, and tofu sisig. 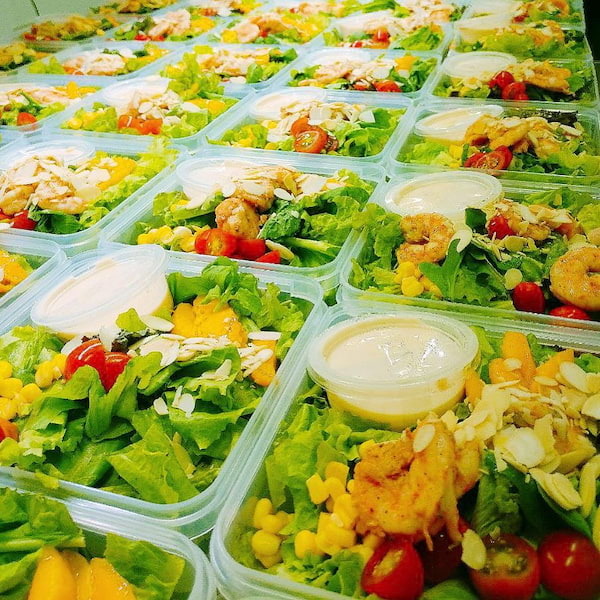 Pipino is located at 39 Malingap St., Teacher's Village, Quezon City. 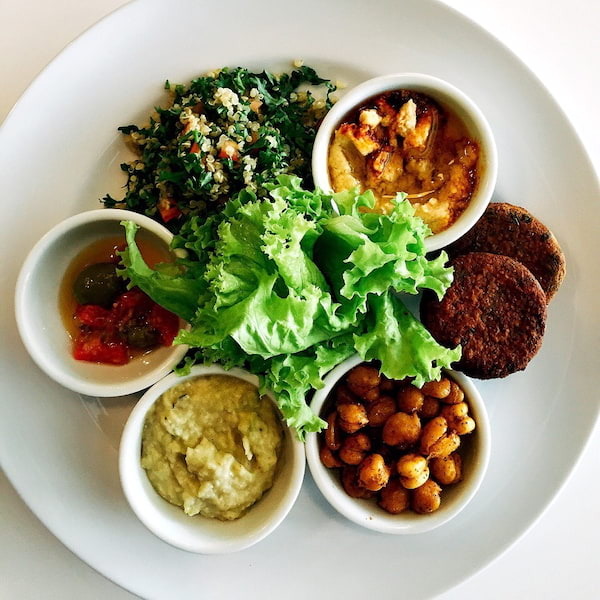 The team behind this café takes pride in satisfying meat-loving diners that walk through their doors, all with a veggie-based menu! They serve everything from satisfying burgers (made with veggie meat, quinoa, or mushrooms), to dim sum, to all-day breakfast classics. Agico Vegetarian Café is located at 8 Missouri St., Northeast Greenhills, San Juan City. 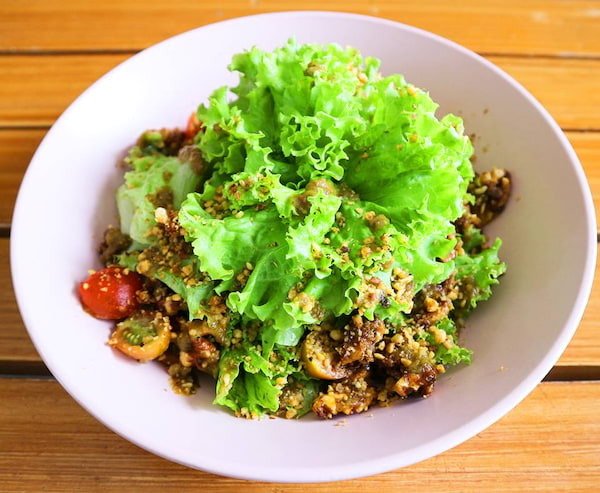 While Earth Kitchen is not a restaurant that caters exclusively to vegetarian and vegan diners, their menu has plenty of options for those who choose to go meat-free. Earth Kitchen boasts their support and love for local farmers and their produce, with ingredients sourced from Luzon and Mindanao. Earth Kitchen is located at Lot 10 B-10 Katipunan Ave. Ext., White Plains, Quezon City. 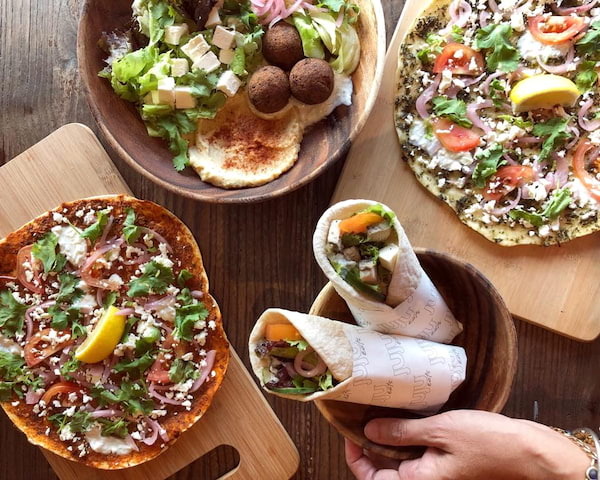 Formerly known as Edgy Veggy, The Good Seed specializes in vegan and vegetarian food for both dine-in customers in their café and take-out or delivery customers around the area. On top of that, they also have a ketogenic menu! All of their ingredients are sourced from all-natural vendors and everything they cook, from the sauces to the condiments, are made in-house. The Good Seed is located at No. 3 Brixton St., Brgy. Kapitolyo, Pasig City. For delivery orders, call 0917-8474831. 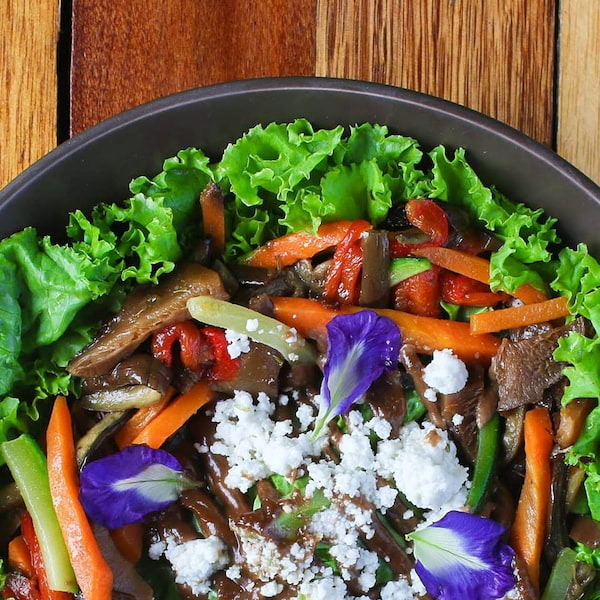 You’d be surprised at how healthy delivery service Greenery Kitchen can pull off super tasty and “meaty” dishes that are 100% vegan and vegetarian. Veggie meat is used to mimic popular viands like tapa, barbecue, and the like—all of which are seasoned perfectly. Their menu updates weekly, so you will never get sick of their viands, and their prices are super easy on the wallet, too. To place orders, call 0906 069 0497 or click here. All the veggies used in these salads are pesticide-free and farm-fresh—you can always expect your salad deliveries to be absolutely sumptuous, refreshing, and succulent. Any meats and seafood used in their recipes are organic and natural. First-timers can try ordering a salad or salad wrap ala carte—but trust us, once you get hooked, you’ll be checking out their salad subscriptions (also delivered!) on a regular basis. To place orders, click here. 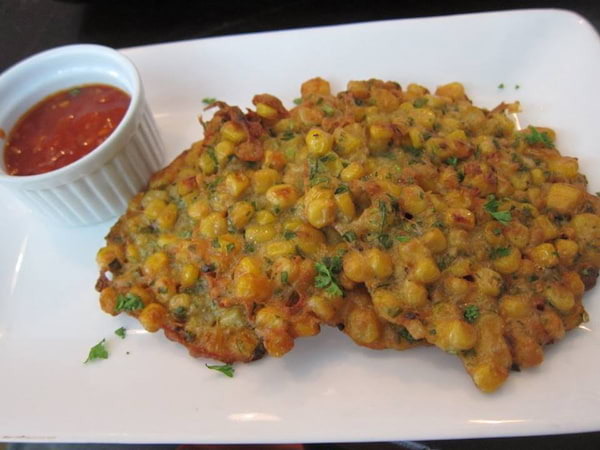 To browse for more vegetarian restaurants, click here.